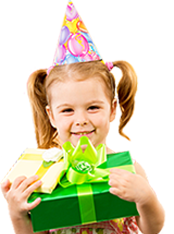 Wilmington Martial Arts Classes For Kids & Adults - Hapkido, Birthday Parties & More! Known as the "jack of all trades" - Hapkido will teach you to defend yourself on your feet, on the ground, when grabbed, and even if your opponent has a weapon. Parents and kids train TOGETHER in these super-fun, exciting 1 hour classes! 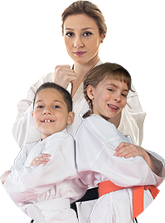 Moms, dads, and children learn powerful martial arts, get great exercise, overcome challenges together, and more. Click now to learn more! Have you been wanting to take control of your life for a while now but have been unsure how to do that? Perhaps you're looking for a new outlet for your kids to work off some of that extra energy while learning and growing. Our Wilmington Martial Arts school can certainly help you with those things. Martial arts is so much more than just kicks and punches! Our students are amazed at how Martial Arts truly enriches their lives in ways most people are not prepared for. Really. These life-changing benefits are more "subtle" than the physical benefits you see from our classes. While we can see lean muscle forming, and feel the effects of cardio training within the first week, the benefits below are felt on a deeply personal level and with some phenomenal side effects. Read below to see how amazing your life is about to get from taking a chance on yourself and leaping feet first into the action-packed world of Martial Arts. We can't wait to see how your life changes from our classes too! Martial arts is tough. Whether it’s strictly to get fitter or you’re in it to win it and become one of the world’s leaders in martial arts, trying something new is challenging both physically and mentally. But...as you push yourself and listen to your instructors as they cheer you on you will get a HUGE surge of confidence! You’ll also get in amazing shape which brings better body confidence right along with it. You’ll be able to pat yourself on the back with pride as you achieve things you once thought impossible. Even if that means completing one single push up, perfecting a difficult new technique, or even watching your kids progress through their training. Our classes are a blast and based on functional fitness. We use positive reinforcement and high fives instead of military style yelling and endless hours on a treadmill. This means that each of our classes is loaded with challenging, fun exercises designed to enhance your self-defense skills. Dynamic striking, high intensity intervals of cardio training, and movements that mimic how the human body should move are our focus. Don’t worry if you feel as though you won’t be able to keep up. We work with all levels from total beginner to pro athlete. And you know what...they all sweat the same at the end of our workouts! We're a tight-knit group here. And our members and instructors are all about support and friendship. We provide the kind of environment that fosters friendship, encouragement, and motivation. Your classmates will be genuinely happy for you when you master your new tasks because they know how hard you have to work for it. Now extend that mentality into a wide network of martial artists, practicing and struggling, just like you. There's a reason Martial Artists typically greet each other as "brother" or "sister" and it's truly powerful to see that realization sink in for new students. Working out and fun? Yup! Our classes are a blast! Martial arts is a way of life for us and we want you to have a good life too. We work hard but we play hard too. Laughing and smiles are part of every class as well as high fives and TONS of support. Kids of all ages as well as their parents love these Wilmington kids martial arts classes. That's because they focus beyond martial arts. Kids are taught self-discipline and respect as well as focus and confidence. The kids are better-behaved everywhere they go, their sense of respect improves and they perform better in school. Our classes are results-focused and there are an array of fun activities and games for kids of all ages. 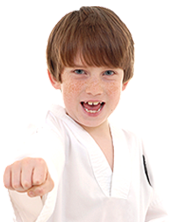 Every age is perfectly catered to and the kids love these classes as they perfect their martial arts techniques and learn new ones. Hapkido is an all-around self-defense system. With this Korean martial art on your side, you'll feel confident to protect yourself & your loved ones. It utilizes jump attacks with hands and feet, joint locks, throws, and strikes for both long range & short range defense. As you learn the techniques, your body will change too. You'll get in incredible shape, and burn away extra pounds. In fact, many of our members are more thrilled about the weight loss than they are about the powerful techniques they've mastered! In this day and age, it can be hard to find bonding time for you and your kids. Especially when you've got work, they've got school, and everyone's tired at the end of the day! 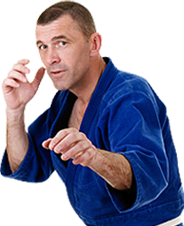 We've now got a great solution for you that will not only bring you and your little ones closer - it'll also teach you self-defense, improve your health and fitness, and build great traits like discipline and focus, too. Introducing: Our Wilmington Family Martial Arts Class! Where moms, dads, and children learn how to kick, punch, block, grapple, wrestle, and more in exciting 1 hour sessions that are packed with energy, excitement, and fun. Click now to learn more!